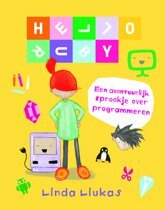 Linda Liukas (born 1986) is a Finnish computer programmer, children's writer and programming instructor. 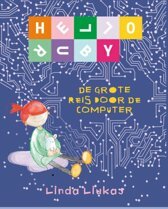 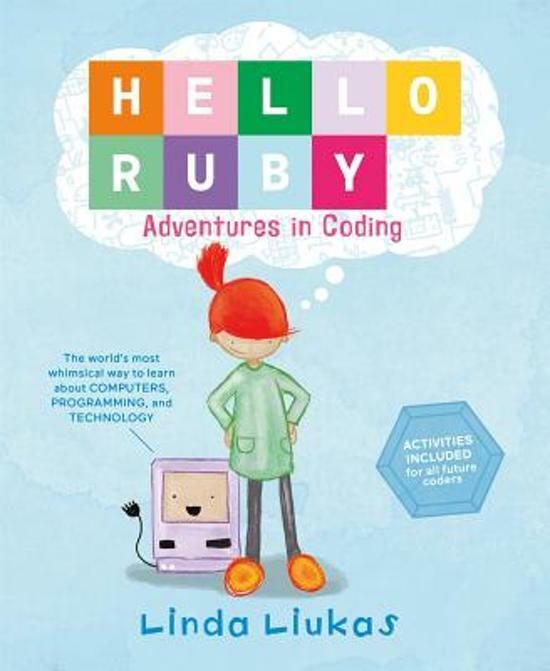 In 2014, her Hello Ruby coding book for children raised $380,000 on Kickstarter becoming the platform's most highly funded children's book. 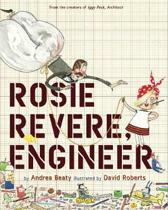 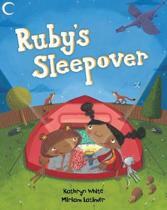 Meet Ruby—a small girl with a huge imagination, and the determination to solve any puzzle. 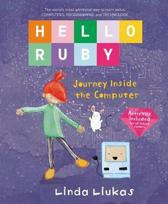 As Ruby stomps around her world making new friends, including the Wise Snow Leopard, the Friendly Foxes, and the Messy Robots, kids will be introduced to the fundamentals of computational thinking, like how to break big problems into small ones, create step-by-step plans, look for patterns and think outside the box through storytelling. 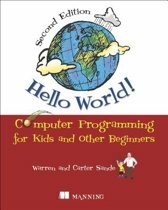 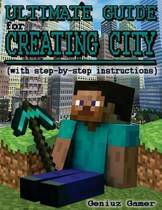 Then, these basic concepts at the core of coding and programming will be reinforced through fun playful exercises and activities that encourage exploration and creativity. 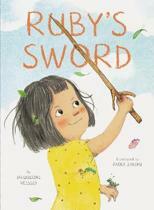 In Ruby's world anything is possible if you put your mind to it. 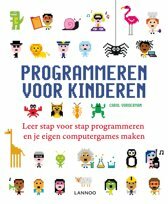 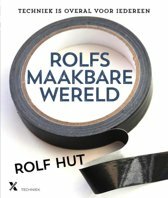 Precies wat je van het boek (en het idee wat je uit de TEDX presentatie, Google eens) krijgt. 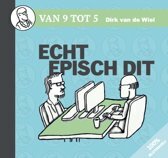 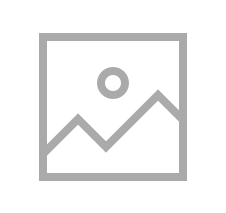 Leuke introductie in de wereld van programmeren, zonder het echt te hebben over programmeren!